Microsoft AirSim's latest version is available now on GitHub as an open-source, cross-platform offering. Microsoft has extended its "AirSim" artificial intelligence(AI) research project to include car simulation which will help advance the research and development of self-driving vehicles. 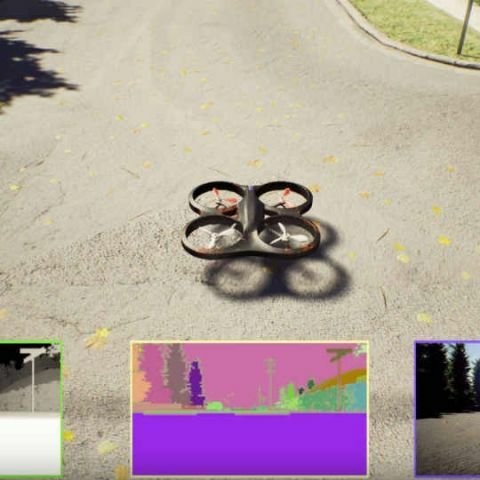 Earlier this year, Microsoft open-sourced "AirSim", a high-fidelity system, for testing the safety of artificial intelligence systems. AirSim provides realistic environments, vehicle dynamics and sensing for research into how autonomous vehicles that use AI that can operate safely in the open world. "The updated version of AirSim also includes additional tools for testing airborne vehicles. We have made it easier for people to simulate flying drones by adding a built-in flight controller, called simple_flight, that simplifies the setup process," Shital Shah, Principal Research Software Engineer at Microsoft, posted. "This allows rapid experimentation with control and state estimation algorithms without requiring expensive debugging and development in the embedded world," she added. According to Ashish Kapoor, Principal Researcher at Microsoft, the latest AirSim version is available now on GitHub as an open-source, cross-platform offering. "The new version of AirSim includes car simulations, new environments, APIs to ease programming and ready-to-run scripts to jump start your research," Kapoor posted. AirSim comes with a detailed 3D urban environment that includes a variety of diverse conditions, including traffic lights, parks, lakes and construction sites. Users can test their systems in several types of neighbourhoods, including downtown, semi-urban, vegetation and industrial environments. The simulation contains more than 12 kms of drivable roads spanning more than 20 city blocks. AirSim has been developed as a plugin for "Unreal Engine", a popular tool for game development. It means that the car simulation is decoupled from the environment it runs in. "You can create an environment for your specific needs, such as a city or rural road, or choose from a variety of environments available online, and then simply drop in the AirSim plugin to test your self-driving algorithms in that environment," Shah informed. AirSim extensibility also allows researchers and developers to incorporate new sensors, vehicles or even use different physics engines. In future releases, Microsoft aims to add new sensors, better vehicle physics, weather modeling and even more detailed realistic environments.